All recruiters are not able to do so. To hire the diversified talent, you need technological help. Technological help will undoubtedly improve your candidature. The future of recruiting lies in Diversity, new tools, data and artificial intelligence. Your candidates experience during the hiring process is highly important. The method of sourcing, screening, interviewing, hiring and onboarding is an overall experience of the candidate. As you are aware usually hiring procedure are famous for giving the candidates overall a bad experience. You can improve this situation with the help of following five technological ways. Why is candidate experience essential? A survey conducted on job seekers suggests that 60 of the candidates have had lousy candidate experience. A bad candidate experience damages all the recruiting efforts. A bad candidate experience creates a wrong impression among candidates. They share their experience with other candidates. This hampers the overall reputation of the company for hiring procedures. A survey by CareerBuilder suggests 22% of candidates would need advice other candidates not to work with your organization and 72% of candidates would share their experience with other people either directly or online. This just means you do need to work on your ATS to waste all your time as they have had an initial bad experience. However, a positive candidate experience, on the other hand, results in more number of applicants. Which overall reduces your hiring cost and is time-saving. 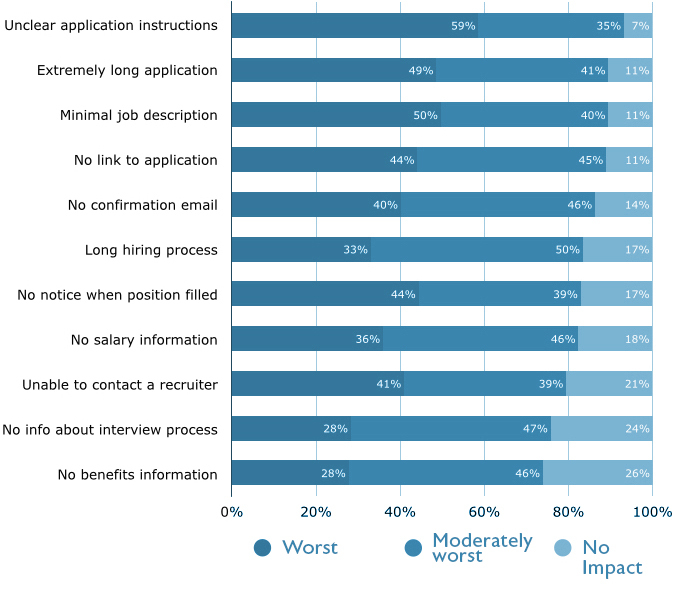 The graph is showing what job seekers did not like the most about candidate experience. The graph is an evaluation of the top causes of a bad experience. The chart also represents the impact as worst, moderately worst and no impact of all the top causes. Some of the top causes include unclear application instructions, extremely long application, Minimal job application and so on. 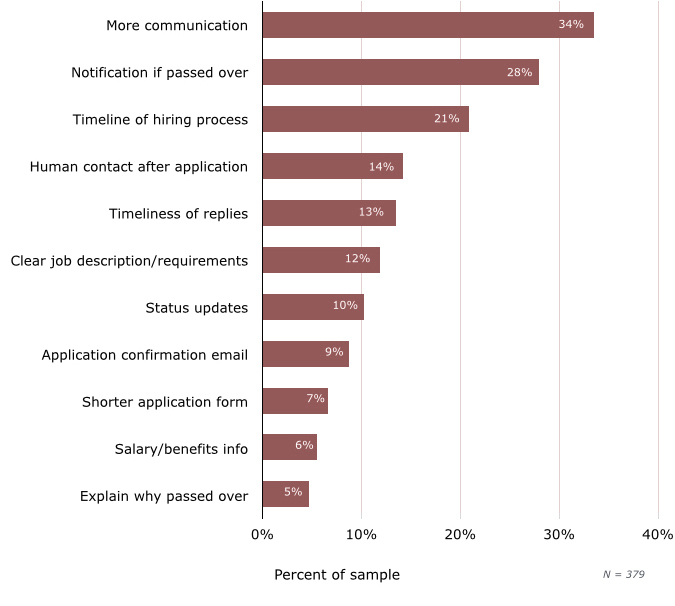 What are job seekers looking for in their candidate experience? As mentioned above recruiters are looking for Artificial Intelligence to improve the process of recruitment. A speedy recruiting process with the help automation software will reduce the tedious and time consuming manual procedure. With the software, you can automatically shortlist, grade and rank every single candidate. With automation, you can screen all the candidates and reply all of them automatically. Giving the candidates an intimation that they have received their application. With automation system, there is no need to respond to every individual. The software will automatically reply to all. This is the very least your ATS (applicant tracking system) should be providing. Additional to this 84% candidates expect a personal response. If your recruitment automation has an auto filling option for the applicant’s name and necessary details in an email it helps in personally reaching out to the candidates. The next depends on where the candidate stands in the recruiting filter. Lack of feedback is frustrating for the candidates. The automation system that shortlists, rank and grade all the candidates can also rank candidates by their qualifications. The software should provide you with details about the candidate with reasoning on why someone is a good fit or why someone isn’t a good fit for the organization. When a candidate gets to know the reasoning for his rejection, you create a useful high-touch candidate experience. As a recruiter, you may have every intention to do so, but due to lack of technology, the ability to find resumes of the past candidates has been difficult until now. After the development of artificial intelligence, we have advanced software that can help us search the resumes of the desired candidate within no time. When the candidates understand that you were not lying about contacting them in future creates a positive impression of the organization. Your organization will stand out with this honesty. 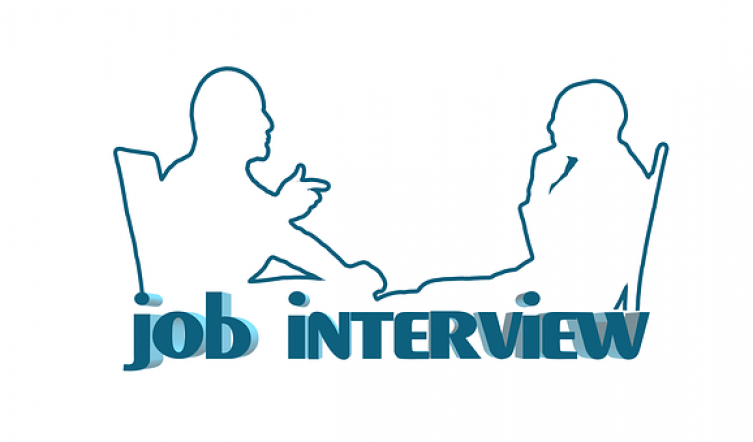 Even though your interview procedure is automated having been able to communicate to a human being whenever required has a different impact on the candidate. Any candidate wishes to be in touch with a human. Technology makes the recruiting process more comfortable but it cannot be replaced by human communication. Human communication can be through mail, chat or text or any other mode of communication. A brief conversation creates a positive effect and the candidate is more likely to re-engage with you in future. Do not create a bad impression about your organization due to a frustrating hiring procedure. There have been many known contacts who come and tell me about their disappointing interview experiences. By using latest software have a hassle-free ATS. A smooth ATS system will change the entire candidature experience.